In high school and college, I did disaster relief several times and I remember working to help rebuild after Katrina. Those images have stuck with me so vividly over the years and I still have a heart to help people in need. 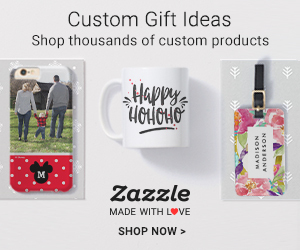 Today with one of my businesses being shirt design, I decided to make a series of designs that all of the profit I would earn from them will go to charity. I have several dear friends in the area and even some family and will utilize their help in donating to local charities. Any money collected before local charities have been identified will go directly to the American Red Cross. Each month, I will provide a report of how much money was earned and where it was donated. Proceeds will be split between Houston’s Habitat for Humanity, New Beginnings Resources out of Porter, TX, and Impact Houston. If you have any questions feel free to ask. Thank you for helping Houston. 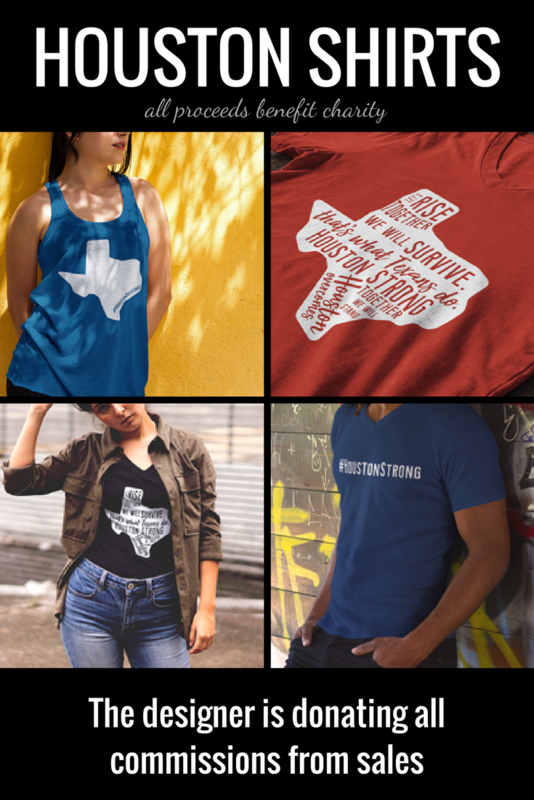 Looking for a way to help those who have suffered loss from Hurricane Harvey? All you need to do is purchase a shirt through the affiliate links below. The design fee and affiliate commission will be donated monthly. Sunfrog takes their percentage and the donation is in no way related to their business and is solely a donation from EGP Media & Press. 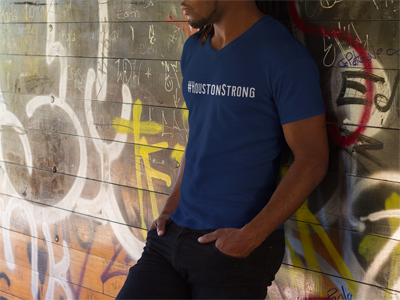 This #HoustonStrong shirt is available in Men’s, women’s, and youth tees. Approximately $8-$10 from your purchase (and 100% of our commission) will be donated to disaster relief in Houston after Hurricane Harvey. 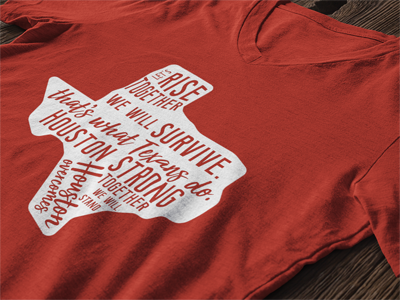 Believe in Houston’s ability to rebuild with this simple shirt with hashtag #HoustonOvercomes. 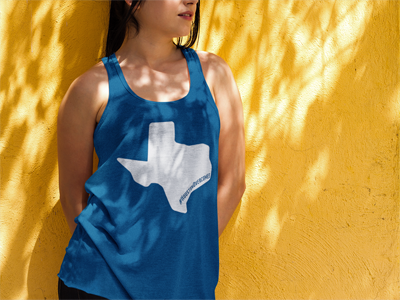 Available in men’s, women’s, and youth tees as well as unisex tank tops. 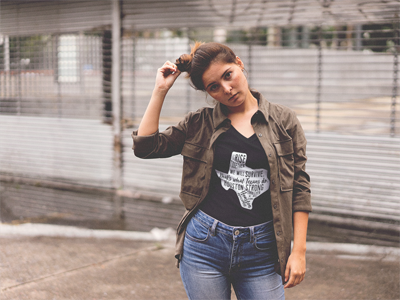 Grab a #HoustonOvercomes shirt here. Available in men’s and women’s V-neck, unisex hoodies, and youth tees. These are perfect to buy for a team heading down to Houston and the surrounding area to help rebuild. Not only will you be helping your team, but commissions from the shirt will also be donated to charity. Thank you for helping rebuild Houston. Be looking for reports from sales and our reports about donations to local charities in the Houston and surrounding areas! If you would prefer giving directly to the local Houston charities, their information is below.